We work with a whole host of different customers, some with large kitchen spaces and those that have a more modest offering – to bring their dreams to reality. No matter the size of kitchen we must work with, we can help create a room as unique as you are – be it to muster up culinary masterpieces, to entertain friends and family or to simply house your appliances if the kitchen isn’t the heart of your home! The standard home size in the UK is dropping, so that more homes can be built and one of the rooms that is sadly shrinking by the day is the kitchen. 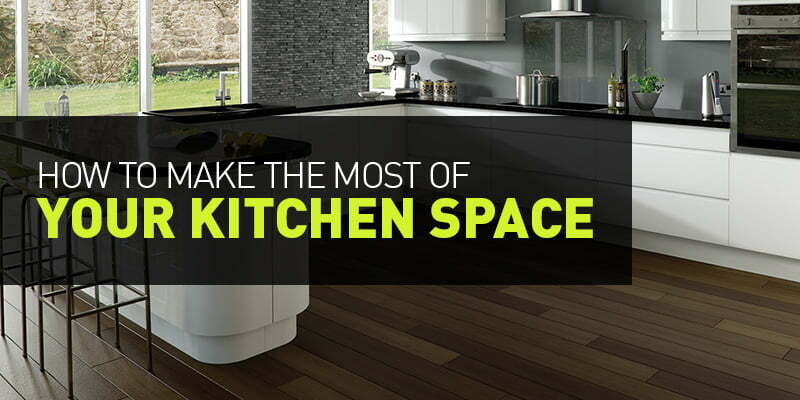 If your kitchen is on the smaller side, here are some handy tips to make the most of it! When it comes to small, compact kitchens, the layout is essential to making the most of your space, this will make it easier to navigate when cooking up a family meal, finding the things you need and keeping it clean & uncluttered. One of the best ways to utilise the space in your kitchen is to use built in units, providing you with ample storage space while minimising the room taken up by kitchen cabinets and other kitchen appliances. When it comes to functionality, the kitchen size isn’t the most vital thing, but its functionality sure is! From high-quality appliances that make easy work of your cooking, washing and food preservation, to the simple storage of your kitchen equipment. And when it comes to minimising the space used up by your kitchen cabinets and cupboards, a fashionable trend of going handless is a brilliant yet simple, space-saving solution. You’d be surprised how much space a handle can actually take up – by removing them you create not only a modern look and feel but a practical one too. Colour is a fantastic way of making the most of your small compact kitchen space, allowing you to make the space feel bigger through dynamic colour pairings. The classic monochrome kitchen scheme can be perfect for making the walls and ceilings feel higher, while expanding the feeling of depth your kitchen provides.